The brake disc (or rotor) is the rotating part of a wheel's disc brake assembly, against which the brake pads are applied. The material is typically gray iron,a form of cast iron. the need for ventilated discs.The "ventilated" disc design helps to dissipate the generated heat and is commonly used on the more-heavily loaded front discs. 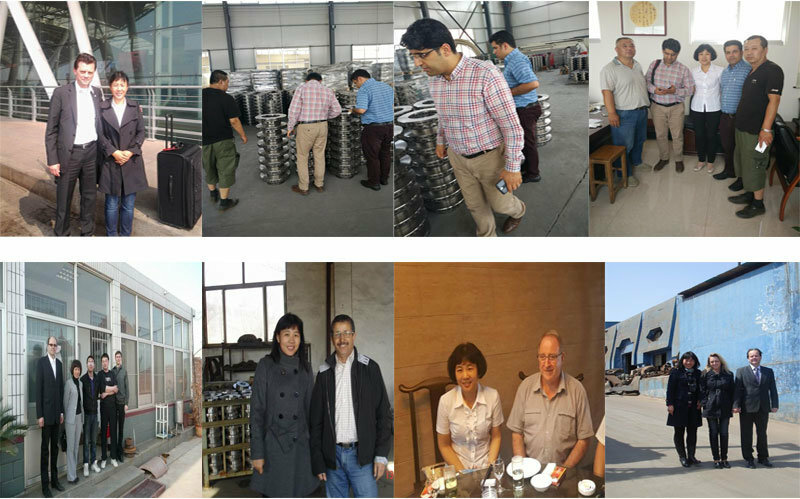 3.-Professional ManufactureÂ ,high-volume environmentalÂ foundry electric stoves and foundry Production Line,output reach 5000 tons per month. 4.-Long Service LifeÂ and quality warrantee periodÂ & Low noiseÂ for brake discs. 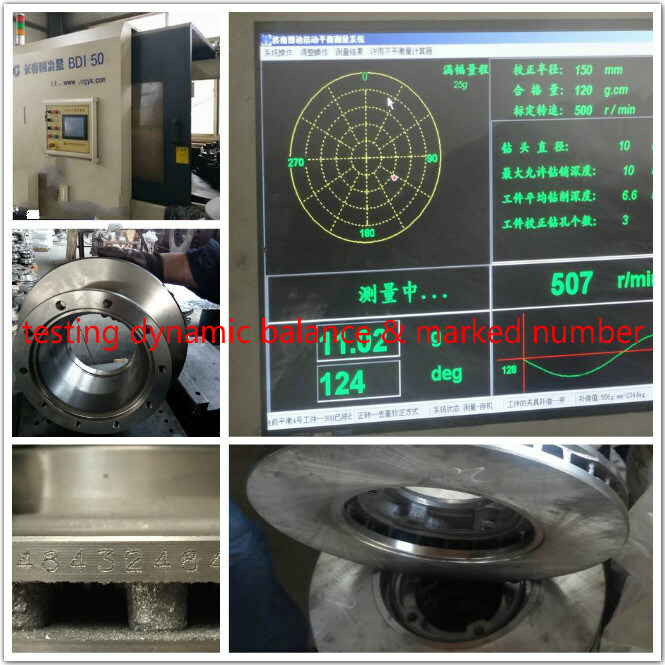 5.strictly testing and waysÂ forÂ discs and drums dynamic balance.keep the products stable balance during driving. 7.Standard: HT-250Â Â raw material G3000 standards. 9.Packing: Neutral or ColorÂ carton.poly woodpallet. 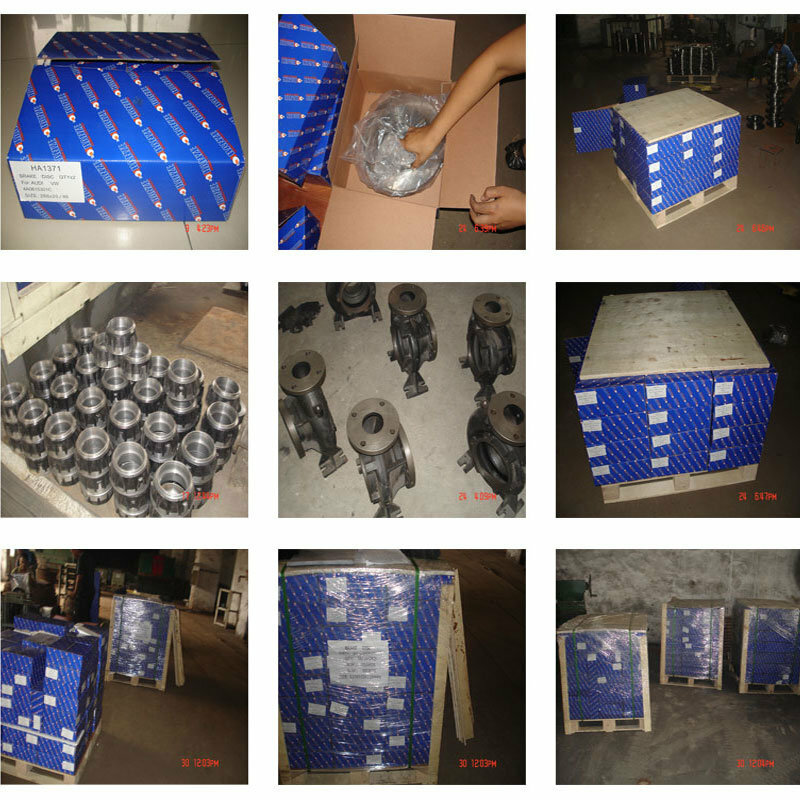 11.many years of export experiance.familiar to many kinds of certifications and governmentÂ CIQ regulation.many kinds of goverments and Customs documents meantime. 12.short lead time :20 days for a 20'Â container. 14.we especially canÂ develop and produce difficult and complex crafts worksÂ forÂ brake disc parts,such as especial change some sizes,adjust chemical raw material formulas,brake discs'surface especial treatments(DACROMET,ZINC PLATED,BLACK COLOR) ,Also.Surface drilled holes or scottled lines etc.works..
15. quality warrante period: 1 year or 100000 kliometers. 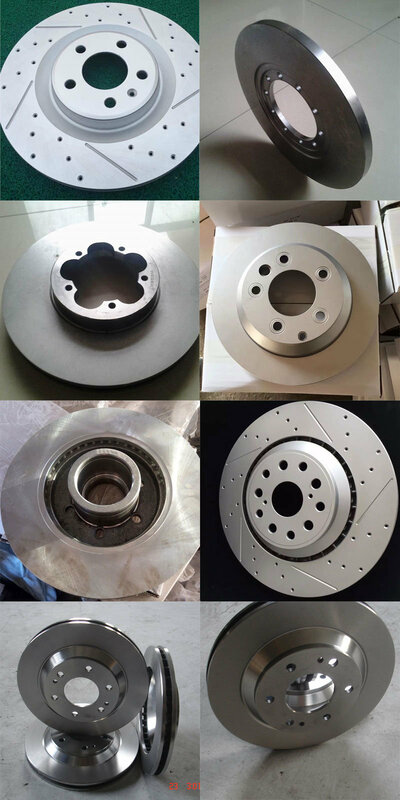 16.can accept drawing orÂ sample supplyingÂ toÂ design orÂ explore new items brake discs or rotors. have formed a trade partnership. 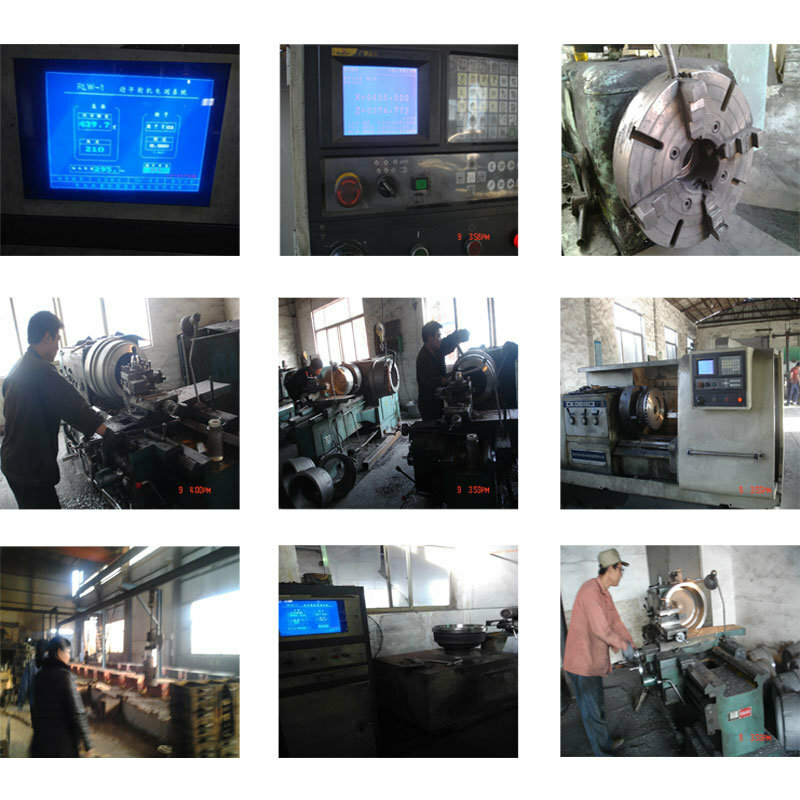 The customers who have worked with us agree with our products very much, andÂ agree with our service very much. We also have a professional R & D team.